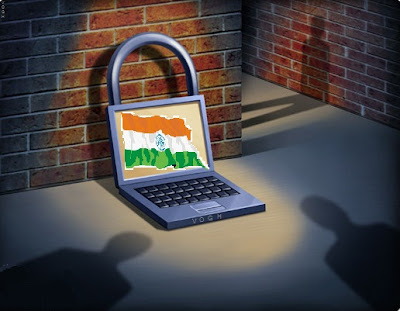 On Tuesday, Indian government released the National Cyber Security Policy-2013. This policy will help to create the balance ecosystem in the country for Cyber Network environment. The National Security Council Secretariat (NSCS) will be coordinating all matters related to cyber security in the country with clearly defined roles and responsibilities. The National Critical Information Infrastructure Protection Center (NCIIPC) is responsible with enhancing the protection and resilience of India’s critical information systems. The NCIIPC will also manage crisis situations. The Government would be able to monitor the Internet traffic and check on trends in cyber security compliance, cyber attacks, cyber crime and cyber infrastructure growth, said the Government officials. “Roles are being defined now and it would spread awareness to all Internet users now, on using Internet banking, mobile banking and many back-end processes,” Kamlesh Bajaj, Chief Executive Officer, Data Security Council of India, said.